Nissan has transformed a pick-up truck into a world class mobile SPACE OBSERVATORY. 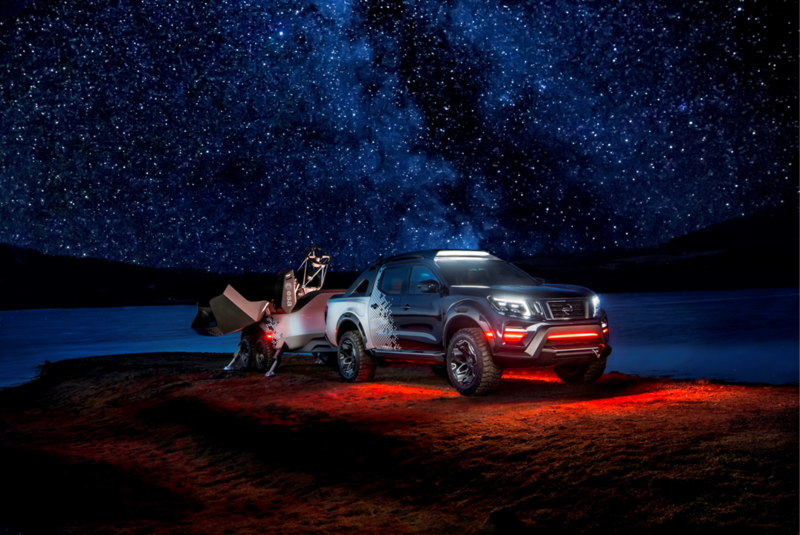 The Nissan Navara Dark Sky Concept allows astronomers to view the universe from hard-to-reach locations away from the nighttime glow of urban areas. 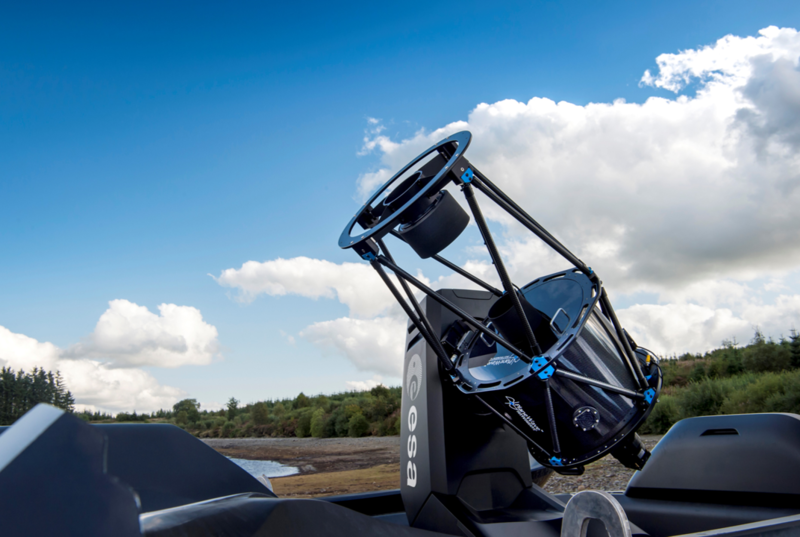 It tows a bespoke trailer which houses a world-leading telescope giving detailed views beyond the rings of Saturn, to distant galaxies, nebulae and supernovas. The trailer module has a special refrigerated atmosphere, which allows the telescope to remain stable and calibrated at the optimum temperature in transit to any location. Once at the desired destination, the trailer module’s mechanized roof opens to focus the telescope on the night sky. The one-off Nissan, developed in the UK in collaboration with the European Space Agency, was unveiled at today’s (Weds) Hannover Motor Show in Germany. ESA is mapping the stars with unprecedented precision using its Gaia satellite, which has already observed more than one billion stars. 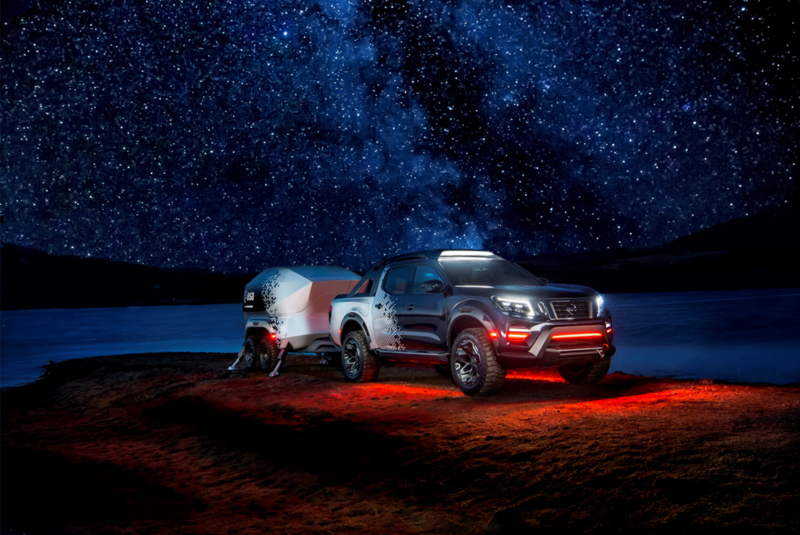 Fred Jansen, ESA’s senior mission manager for Gaia, said: “The Nissan Navara Dark Sky Concept allows observations to take place in very remote places, avoiding light pollution, while also transporting telescopes safely and easily. To negotiate tricky terrain, the Nissan has four-wheel drive, 20-inch wheels with off-road tyres and high-intensity headlights. The overall ride height has been raised for improved ground clearance. Under the bonnet is a 2.3-litre twin-turbocharged diesel with plenty of pulling power to handle the trailer’s additional weight. 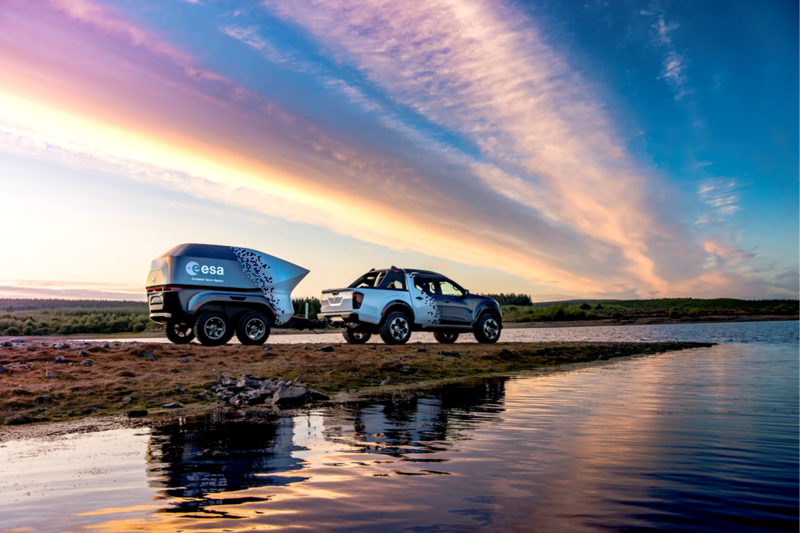 The Navara and trailer both feature portable EV battery packs, which make use of Nissan’s tried and tested electric-vehicle battery technology. When docked in place, the battery packs are constantly in charging mode and ready for use. 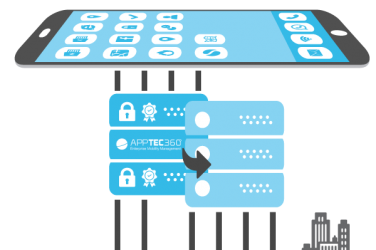 Additional high-tech features include wi-fi, a laptop station and UHF transmission to relay data instantaneously to anywhere in the world. Parking is made simple thanks to the cameras which give the driver a bird’s-eye-view around the vehicle. There are eight radar units, on each corner of the vehicle and trailer, which update the driver on the vehicle’s surroundings through the touch screen on the dashboard. At the heart of the trailer is the ultrahigh-power PlaneWave telescope which uses a 40-centimetre (primary) mirror to focus on the night’s sky. The Navara also has ProPILOT, which enhances the driver’s control by combining Nissan’s Intelligent Cruise Control and Steering Assist technologies. This maintains the distance with the vehicle in front while keeping the car and rig centered during single-lane driving – even on curves. Ashwani Gupta, senior vice president of Nissan’s light commercial vehicle business, said: “The Nissan Navara Dark Sky Concept is a brilliant example of Nissan serving as an authentic partner, empowering our customers to go anywhere. Nissan plans to work with ESA to donate the telescope as part of their educational outreach initiatives following the Hannover Motor Show.